Photos and reports from the 2001 to present iceboat seasons. Lake Mendota, ISA, South Bay Scooters on Geneva, Lake Monona club sailing, Northwest Ice Yacht Regatta, and Grand Slam Regatta. 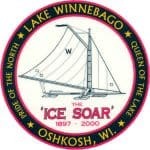 Northwest Regatta in Fontana,WI; ISA in Fontana, WI; Monona and Mendota club sailing, DN Regattas, Fauerbach Pennant. Jack Ripp Tribute, Lake Monona Sailing,DN North American Regatta, Northwest Ice Yachting Assocation Regatta, Buddy Melges’ Toy Shed, Area U Flying Ice Boat, Lake Kegonsa sailing, Kyle Metzloff ice boats in New Zealand, and Attitude Adjustment. DN Reports, The Northwest Ice Yacht Regatta, Lake Mendota & Lake Monona sailing, DN Regatta on Lake Baikal in Russia, tribute to Bill Sarns, Frankie Hearn at Ice Optimist Championships in Poland, and lots, lots more. DN Reports, 100th Anniversary of the Northwest on Green Lake, The ISA & Renegade Championships on Lake Kegonsa, 4LIYC Grand Slam on Lake Kegonsa, Deb Goes to Siberia, Remembering Jan Gougeon, Skeeter builds of Ken Whitehorse and Bob Kau, club sailing on Lake Mendota and Kegonsa, Peter McCormick’s Renegade, A Flying Dutchmen, CNCing DN runner planks, and tons more. DN Reports, The Northwest Ice Yacht Regatta that Never Was, Hollywood Ice, Lake Mendota Sailing on Hollywood Ice, Mendota Monster Pulled from Lake. 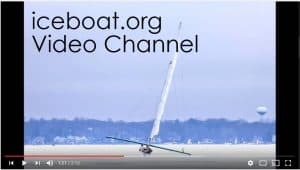 Harkens in National Sailing Hall of Fame, Northwest Report, DN Reports, Charles Lindbergh’s Iceboat in Madison, 4LIYC documentary, sailing on Lake Monona, Eastern ISA, Kau new Skeeter hull. ISA Regatta, DN Regattas, Jan & Meade Gougeon: Hall of Famers, Remembering Bob Pegel, WSSA Regatta. ISA Regatta, DN Regattas, Northwest Regatta, remembering Arlyn LaFortune, remembering Charlie Miller, Lake Kegonsa club racing, Lake Monona club racing, South American ice sailing, remembering Tim Woodhouse. Bill Mattison inducted into Madison Sports Hall of Fame, DN Worlds Lake Kegonsa, DN North Americans Green Bay, ISA Battle Lake Minnesota, Baikal DN Racing, Nite Nationals in Escanaba, Ice Optimist Worlds in Poland, Grand Slam Regatta on Kegonsa.